A COFFEEHOUSE, coffee shop, or CAFÉ is an establishment that primarily serves coffee, related coffee drinks (latte, cappuccino, espresso), and - depending on country - other drinks including alcoholic. 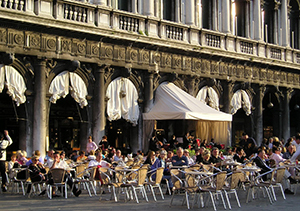 Some coffeehouses may serve cold drinks such as iced coffee and iced tea; in continental Europe, cafés serve alcoholic drinks. 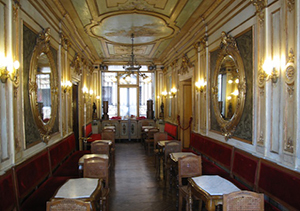 A coffeehouse may also serve some type of food, such as light snacks, muffins or pastries. 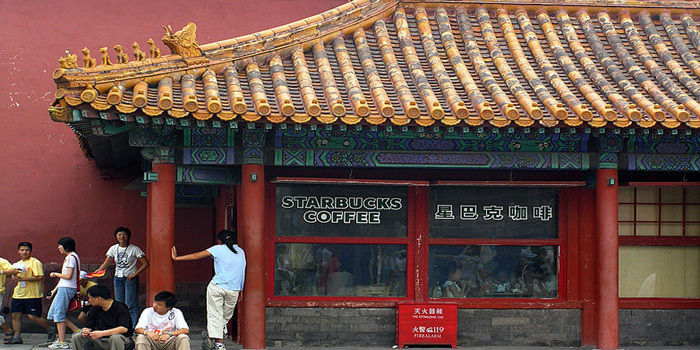 Coffeehouses range from owner-operated small businesses to large multinational corporations. Coffee and culture with dr johnson - The Independent. English coffeehouses in the 17th and 18th centuries - Wikipedia. List of cafeterias - Wikipedia. List of coffeehouse chains - Wikipedia. Lloyd's Coffee House - Wikipedia. 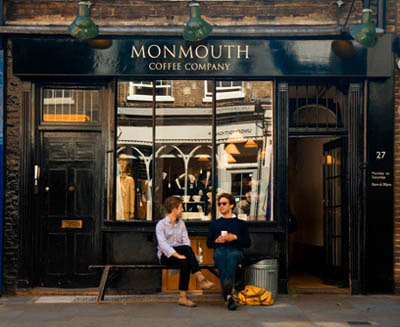 London's Original and All-Inspiring Coffee House - "In 1652 the first coffee house in London was opened on St. Michael’s Alley, off Cornhill, set within a warren of medieval streets." Nando's Coffee House - Wikipedia. Queen's Lane Coffee House - Wikipedia. 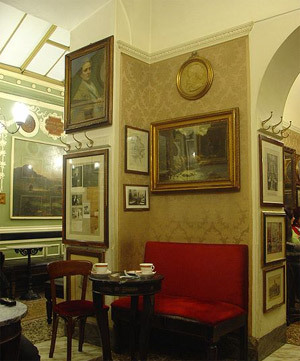 The History Of London's Coffee House Culture - culture trip. The world's most historic coffee houses - "This post seeks out the historic coffee houses, paying particular attention to those that have either played a significant role in our society or have stood the test of time and remain trading today ... some 200 years after their establishment." Tom King's Coffee House - Wikipedia. TURK'S HEAD COFFEE HOUSE IN CHANGE ALLEY - Pascal Bonenfant. Kafferiet - since 1998. Specialty: slow coffee. "When you enter KAFFERIET, you enter another world where you forget about everyday problems for a while. Here you get surrounded by warmth and the smell of freshly ground coffee. At KAFFERIET, you can have your coffee to stay - drink it in the coffee shop of our beautiful handmade cups. You can of course also have your coffee as take away, in our nice to-go mug." Coffeehouses: Esplanaden 44, Kronprinsessegade 1, Wildersgade 26, Ryesgade 63 & Ægirsgade 46: Copenhagen, Denmark.